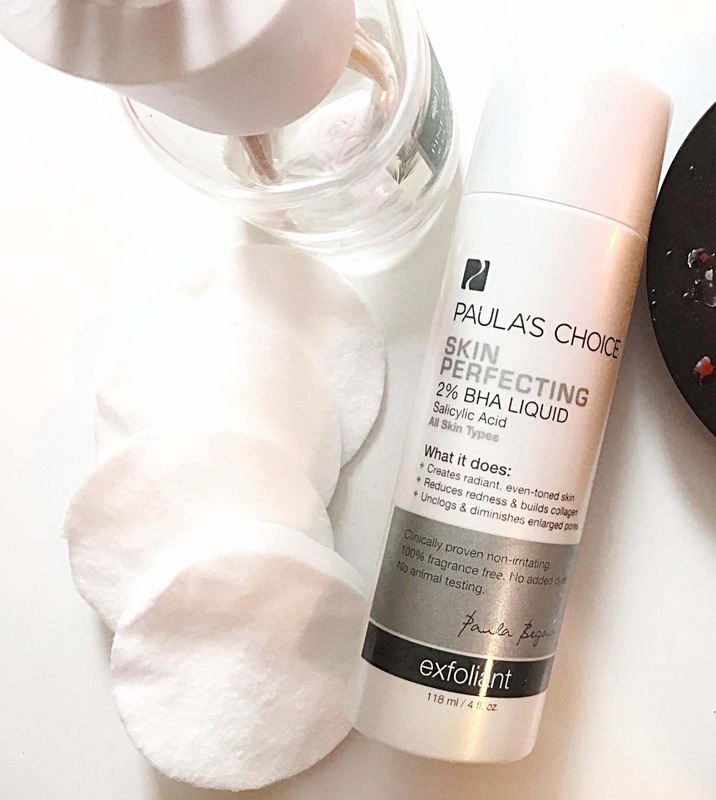 I was a little sceptical about purchasing this product as Paula’s choice seems to be a love or hate brand; some swear by it and couldn’t live without it, whilst others claim it is not only ineffective but has also had damaging effects on their skin. Paula’s choice are right at the top of the mid price bracket so I had a good research into what I wanted to try before ordering! I love my acid toners and tend to favour glycolic as my acid of choice so thought it would be good to try a beta hydroxyl acid toner to mix it up a little. The difference between glycolic and salicylic is that glycolic works on eating away at dead skin on the surface whereas beta hydroxy works deeper inside the pores therefore making it the most popular when dealing with spots and acne. The product I went for was the Skin Perfecting 2% BHA liquid, this product claims to reduce pore size, unclog pores, even skin tone, and reduce redness. Once or twice a week in the evening I apply to a cotton pad and sweep over my face. Unlike a lot of acid toners I have tried there is no astringent sting or stripping feel, instead I find I am left with a sort of sticky residue on my skin. After applying and letting the liquid soak in, I will apply either a serum, moisturizer or both. The effects I noticed with this product were not immediate or instantly ‘transforming’ however that is not to say it isn’t a good product. I enjoy having this in my skincare supplies as I feel it is good to mix up products from time and adjust what you are using to the changes in your skin. However if I am running out I do not feel compelled to go out and get a back up right away (like I will with say Pixi Glow Tonic). To conclude I like this product and I enjoy having it in my collection to use and mix up my routine. Nice and effective at improving you skin’s texture and tone, but definitely not a holy grail or life-changing product in my opinion.